My Destination Cape Verde gives you the most desirable choices of Cape Verde accommodation; from International hotel chains and romantic boutique hotels to more intimate bed & breakfasts. 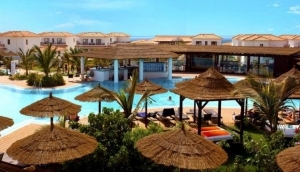 Cape Verde holiday rentals are also available. Why not go to our detailed Cape Verde Accommodation pages now and see where you could be staying on your trip to one of these beautiful islands. Whether you're staying in the tourist centres of Sal and Boa Vista or if you want to find great accommodation on the other Cape Verde Islands we will have something for you.There are also Cape Verde holiday rentals available to browse, if you would like any advice, send an email and we will be glad to help you.